Is Resident Evil 7 the Scariest Video Game of All Time? Do you like scary movies? What about scary video games? Boy Genius Report is calling Resident Evil 7: Biohazard the scariest game of all time. Find out why and buy yours today. Do you know how good a game has to be to manage to get a 4.5-star rating on Amazon? Do you have any idea? Think about all of the people who go on the site everyday just to give a product a 1-star rating because Amazon delivered it a day late. Does that have anything to do with the product? No, of course it doesn’t, but some people just don’t get it. 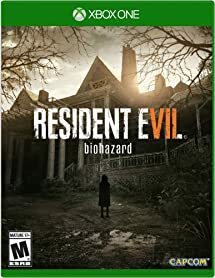 Resident Evil 7: Biohazard is THAT good — with more than 430 ratings right now on Amazon, it has a stellar 4.5-star rating and 80% of all ratings gave the game 5 stars. This game is… terrifying! 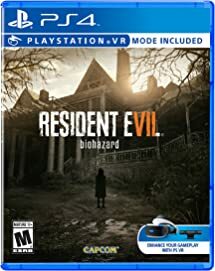 It’s so much fun to play, and it’s by far the best and scariest Resident Evil installment so far. If you haven’t gotten your hands on a copy yet, you’re in luck because it’s on sale right now on Amazon at its lowest price ever. Trust us: Order a copy, turn off the lights, dim the badass LED backlighting you got for your HDTV after we told you about it last month, and get ready to be petrified. This article is being republished with the permission of Boy Genius Report. To read the full version, click here. If you buy something because we told you about it, we may receive compensation from retail partners.